Q: Cute name! 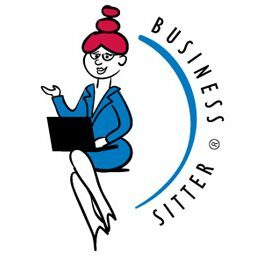 So a Business-Sitter is like a baby-sitter? A: Thanks, and sort of. Though unless you’re a nappy-selling business, diapers don’t come into it much. Your business is dependent on everyone being fully on board at all times, which can make it hard for senior management to take time out, fall ill, or be in two places at once. Until they perfect the cloning thing, Kathrin Hardie Business-Sitter® can step in and take some of the strain. Q: Sort of an “I went away, but my business didn’t” kind of approach? A: You took the words right out of my mouth. This century has seen me professionally desk-hopping, juggling all manner of projects and businesses around the world, and trying on all fashion of hats in the process. Interim executives are a breed which thrives on managing the moment while planning for the future. It’s a neat balancing act tempered by lots of coffee and access to a great team. Q: So what kind of challenges do you most enjoy? A: This is where I get to talk about umpteen years at the frontline of advertising and marketing, working for the biggest multi-national brand names (still) going, and managing businesses of all shapes and sizes…but I won’t bore you with the details. The short answer is working with a passionate business owner, an enlightened Board, or a truly worthwhile cause. Ideally three-in-one, but I’m also realistic. Q: Sounds like rocket science…what do you actually do? A: Well, I use this amazing multi-hued contraption to analyze new situations before providing all sorts of phantasmagorical solutions to mind-boggling problems. Then, during the daytime, I seamlessly become part of my client’s team to provide hands-on support. This can include wading through historical brand data to plan the course for the future, recallibrating the engine process for a smoother journey, mapping out the marketing coordinates and hitting warp speed, while picking up some other stars along the way. Throw the problem at my team and we’ll usually come up with a reasonably apt descriptor. Q: Uhm, can I buy you a coffee? A: Well that’s very civilised of you. Contact me here.